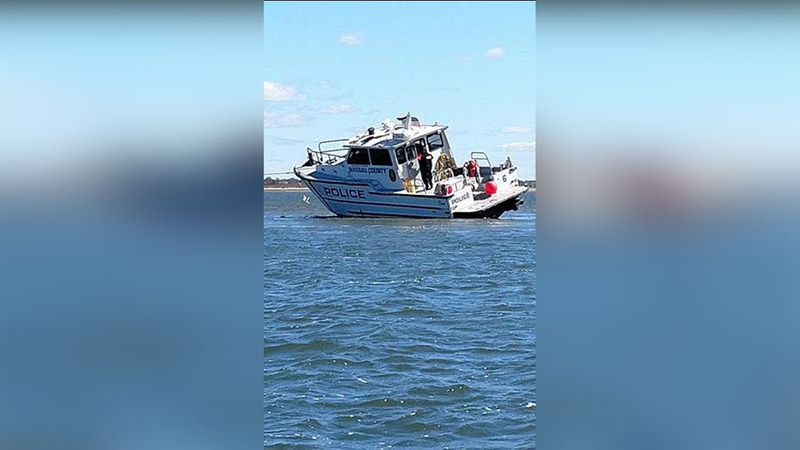 WANTAGH, Long Island (WABC) -- A Nassau County Marine boat ran aground on Long Island on Saturday. The incident happened as Nassau Police Department's 'Marine Six' was patrolling the Great Island Channel in Wantagh just before 10:30 a.m.
Police blame a previous winter storm, high tide and wind gusts over 30 miles per hour. Marine Six was back in service on Saturday night.